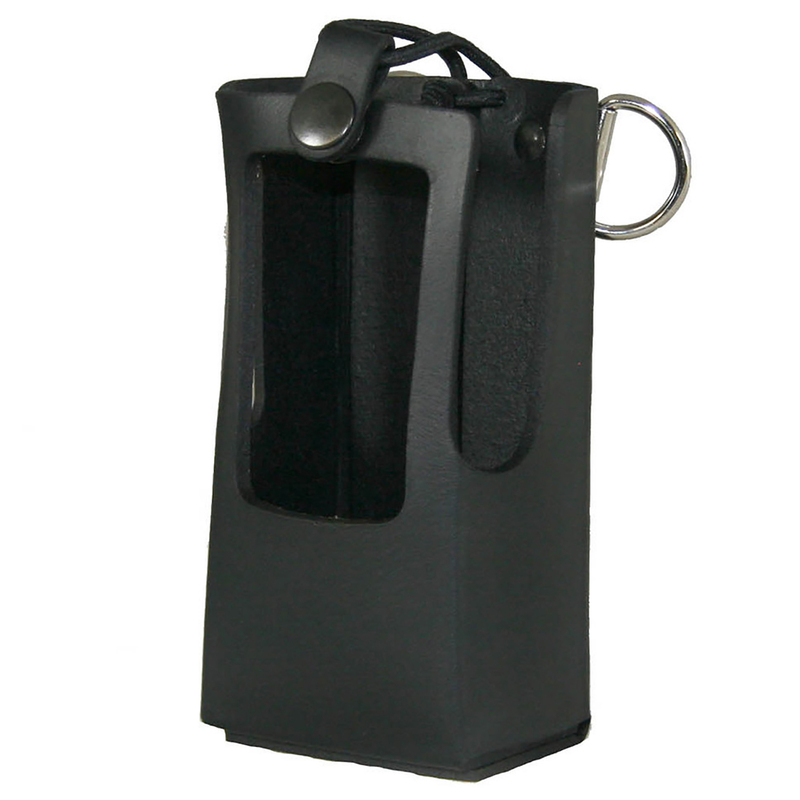 The Boston Leather 5616RC Radio Holster is designed specifically to fit the Kenwood NX-300 series portable radio. This bucket style holder has a wide front, open window that allows for easy screen viewing and front button access. The Radio is held securely in place via an elastic stretch cord over the top of the radio. Holster is fitted with D-rings that mate easily with Boston Leather 6543-1 Radio Strap and 5425-1 Anti-Sway Strap.